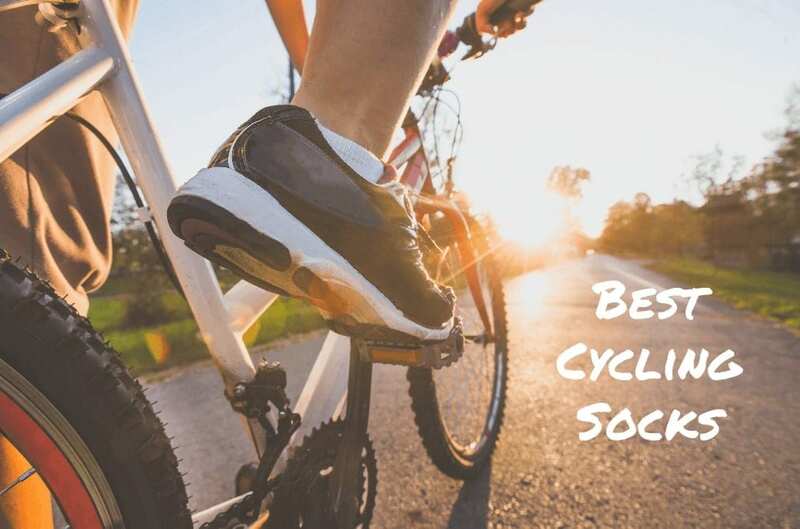 When you plan a short day-trip or a longer bicycle tour, make sure you select the right cycling socks to ensure that your feet are as comfortable as possible once you hit the road or trail. 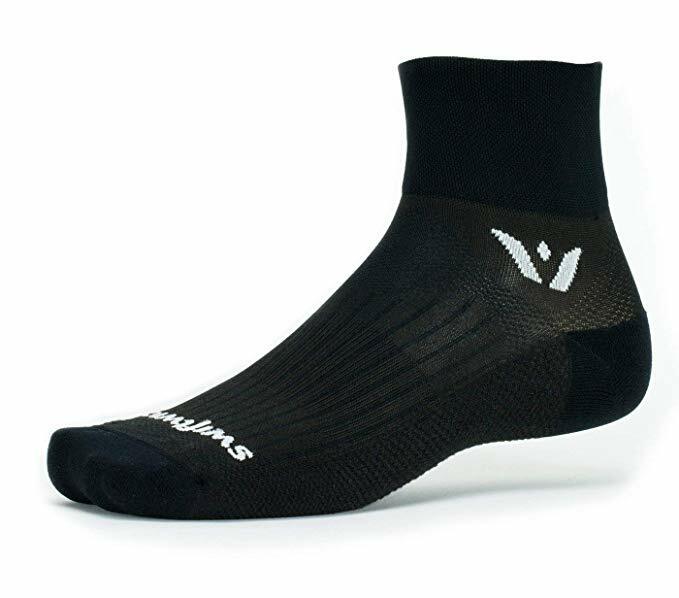 A well-designed pair of socks that fits appropriately and is suitable for your particular bicycling needs will breathe well while regulating temperature in both hot and cold environments. When your day trips turn into tours, quality cycling socks protect your feet from blisters and minimize discomfort. To help you select the best cycling sock for your particular needs, we offer our top recommendations for cycling socks below. When ranking our cycling socks choices, we focused primarily on cost, comfort (padding, materials), durability and aesthetics. We added extra points for socks that are manufactured in the US using sustainable practices. 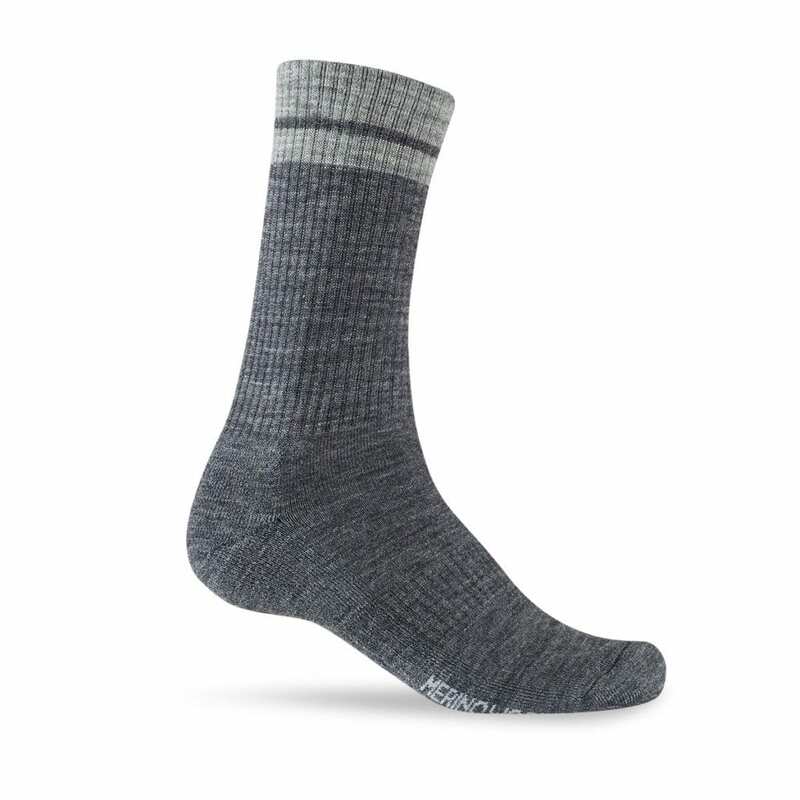 In most cases, higher-end socks rely heavily on Merino wool to help reduce odor and increase warmth and durability. When in doubt, focus on the composition of materials and the reputation of the manufacturer. 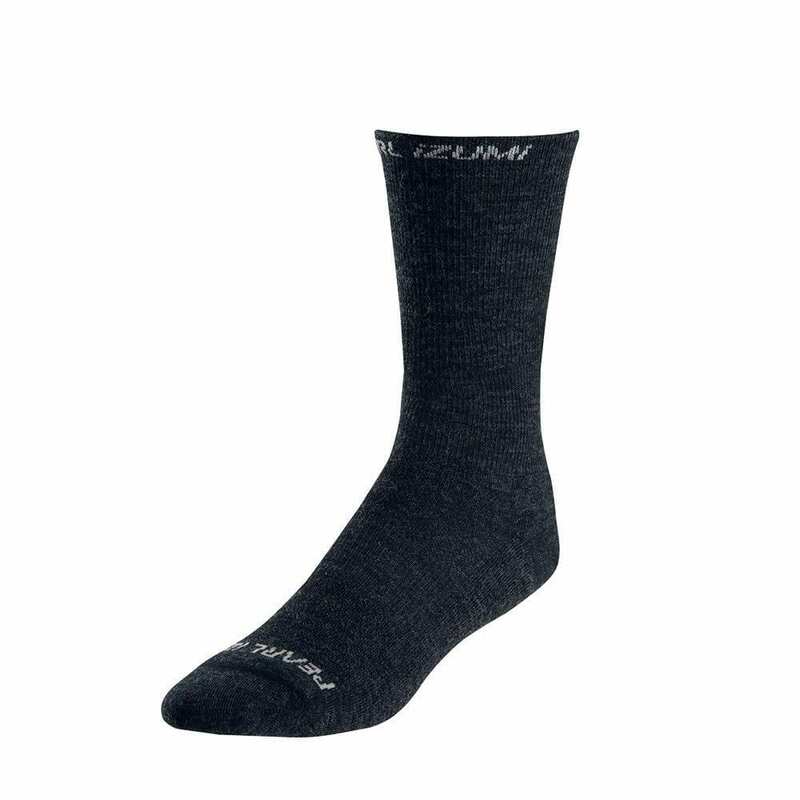 Although we pointed you primarily to Amazon and Darn Tough to purchase your cycling socks, you may also want to check out REI’s most recent sock sales since they often offer deals. Last time we checked, REI was offering three socks for the price of four. 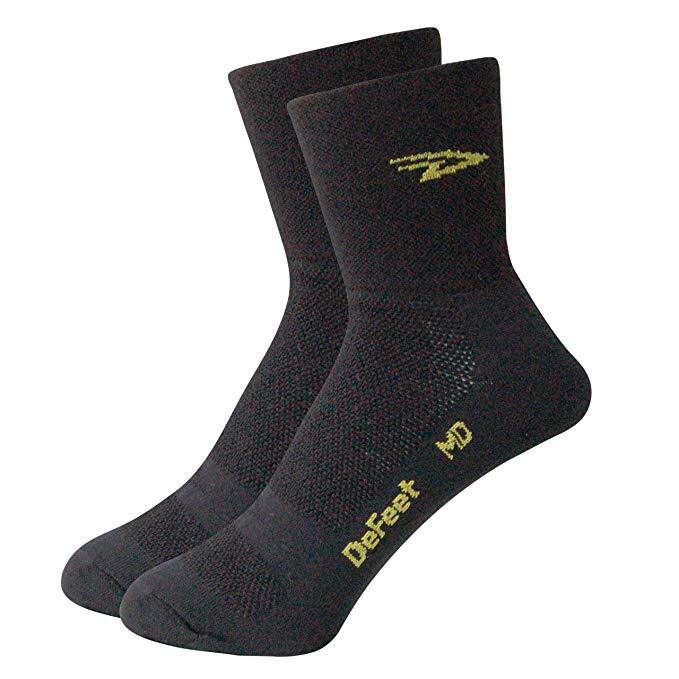 Defeet socks are made in the US and are literally a perfect fit for cycling. For most, these socks extend high enough up on the calf to protect the lower ankle. They come in several different designs such as the Woolie Boolie 6″, the Aireator, the Wooleator, and the 3″ Aireator 3″ Townee Socks (with cool cycling wheel logos). If you’re partial to the Woolie Boolie 6″, you should also consider the Woolie Boolie 4″ socks. Although these will quickly become your “go to” cycling socks, these are also popular for running, skiing and day-to-day office work. 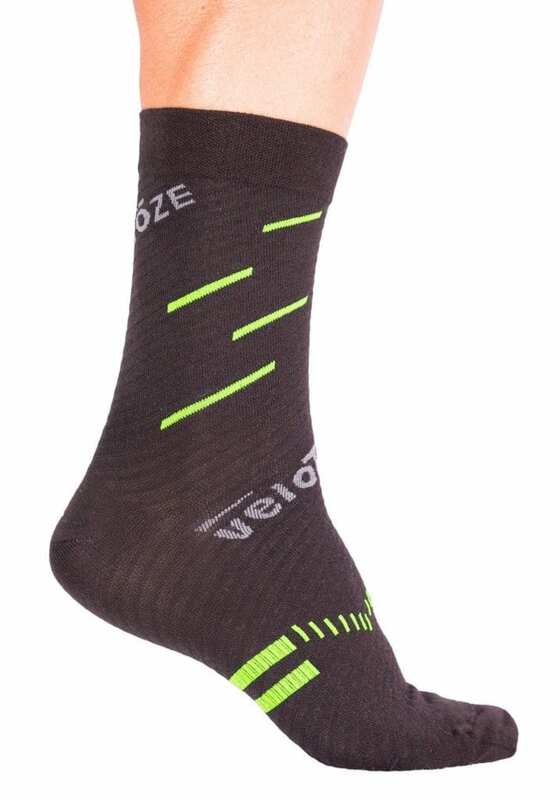 These socks are our number one pick for cycling socks. If you’re looking for a sock that will keep your toes warm in the coldest of weather, this is it. We don’t recommend dual purposing these socks for skiing, but they do the job if you’re on a fat tire bike or cycling when it’s below 30 or 40 degrees. These are odor resistant, but don’t forget to dry these on a clothes line to ensure they don’t shrink. These socks fit like any other pair of socks even though you’re essentially wearing a liner covered by a porous membrane. They are not inexpensive, but if you plan on cycling on wet trails or puddle-filled roads, these socks will provide both warmth and dryness. Darn Tough’s socks are all weather socks that perform well in cold or warm weather. These are made of 53% nylon, 42% Merino wool and 5% lycra spandex. These socks do not rely on traditional seems, but are smooth fitting and provide heel and arch cushion for added comfort. Darn Tough makes a point of only adding cushion where it’s needed, especially for skiers and bicyclists. 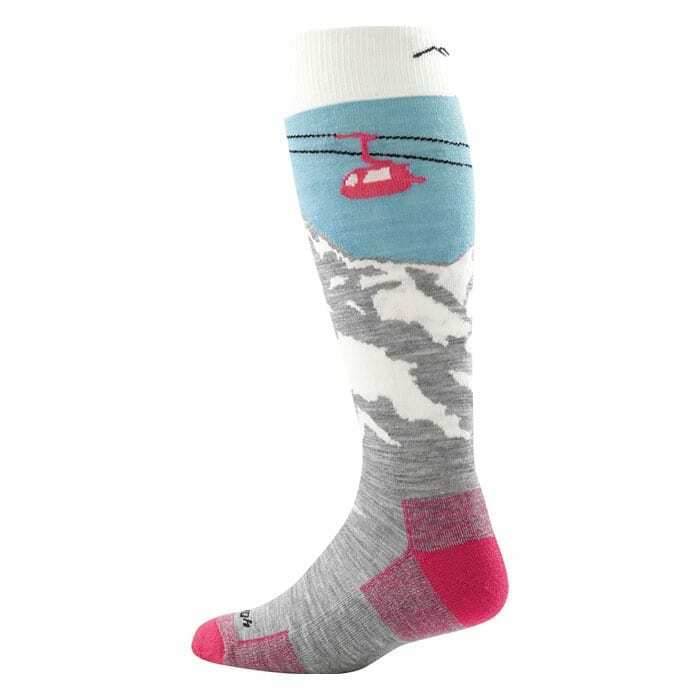 $19.00 at Darn Tough Socks (Men) // (Women). These socks can also be purchased at Amazon and are manufactured in the great state of Vermont. Darn Tough socks makes phenomenal socks that are functionally solid, while casting coolness vibes in every direction. We particularly like the stars and stripe model shown in the photo above (middle), but you can spend hours perusing their lineup of sock designs. Thankfully, these socks are also very high in terms of utility, so you can rest assured you’ll be modeling Yankee thriftiness as you drop some extra dollars on your purchase. The micro crew model is extra light and reaches slightly above boot height. One of the best features of these socks is their lifetime warranty, which covers any and all damage–no questions asked. If you’re considering some Vermont-made Darn Tough socks, you may want to read over their FAQ page where they offer more detailed information about their warranty and topics like sock weights. Note that Darn Tough uses nine different sock weights: ultra-light, light, padded light, ultra-light cushion, light cushion, padded cushion, cushion, full cushion and extra cushion. These are good cold weather cycling socks. 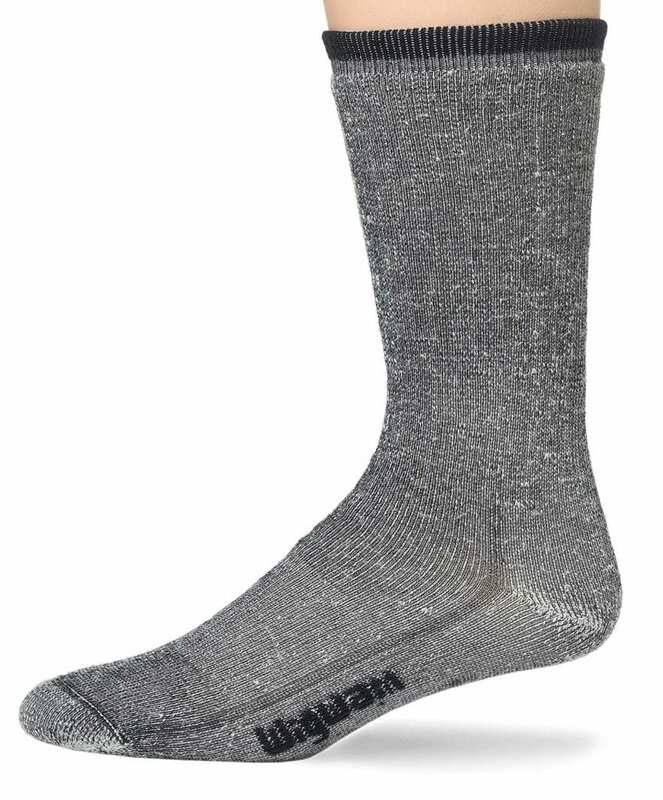 These are only slightly thinner than standard medium-weight hiking and hunting socks. Like other wool socks, make sure you use a gentle wash and hang dry. They are only slightly thicker than a “summer weight” wool sock, yet they are still thin enough to fit comfortably inside a cycling shoe. The Giro 20170 is warmer than the Pearl Izumi sock based on the higher wool content of the Giro. 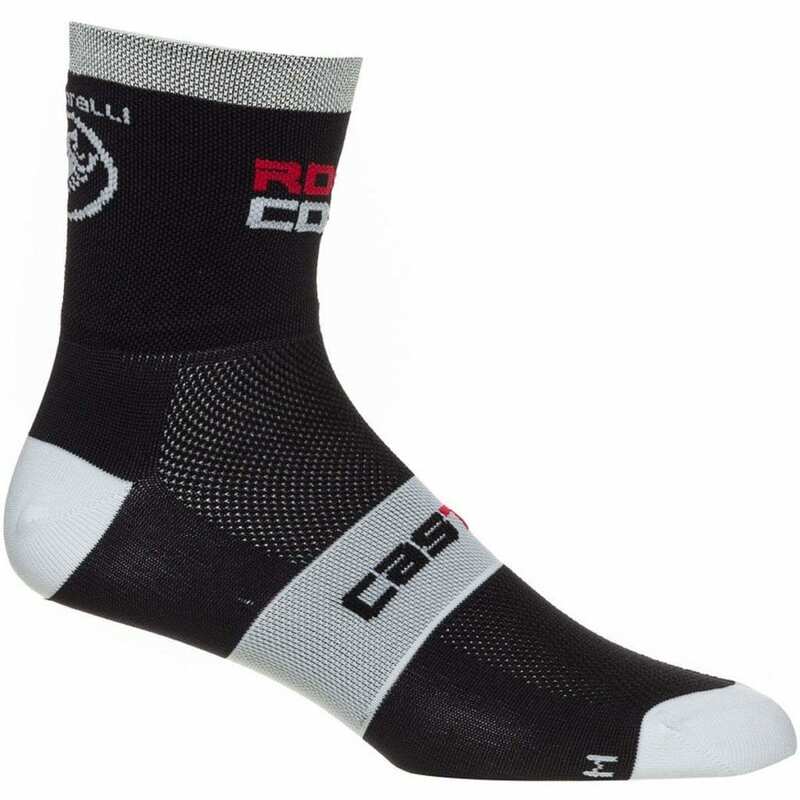 The Castelli is a unique sock in several ways. First, it doesn’t rely on the traditional mix of merino wool, nylon and lycra or spandex. Instead, this sock relies on its own polyester mix that breathes well and is very thin. It’s hard to go wrong buying socks when they are US manufactured by a company that has been producing socks for more than 110 years. 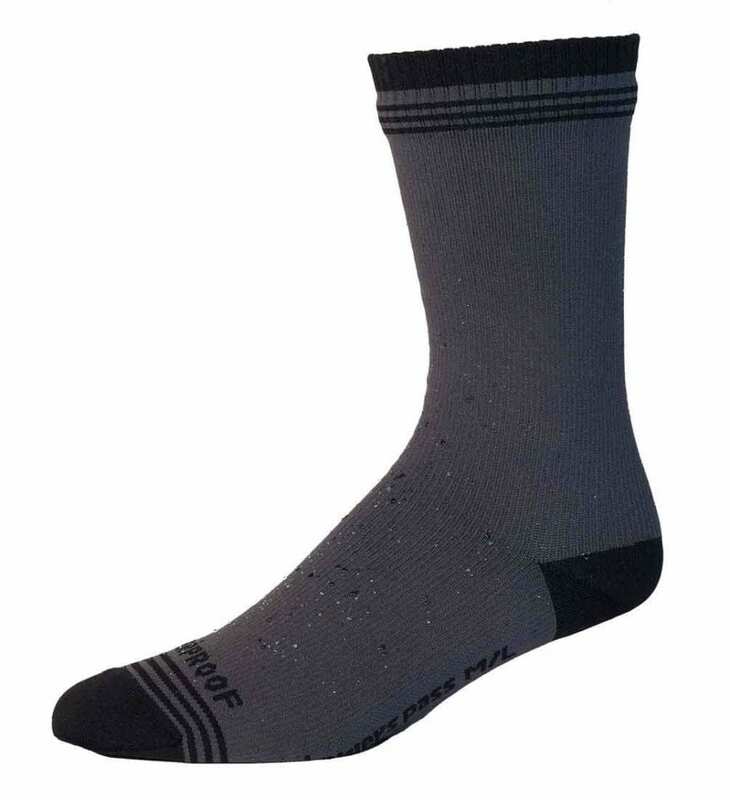 These merino wool midweight hiking socks are a good solution for the cyclist who is looking for more padding and warmth. These socks won’t shrink or bunch up and the high merino wool content means there is no itchy or scratchy feel. These will also double as excellent shoes for hiking, snow shoeing or for any cold outdoor activity. Like other wool socks, please don’t put these in your dryer. This is our top pick for women’s cycling socks if you’re looking for versatility, unbeatable style and a lifetime unconditional guarantee. For warm or cold weather, these will carry over into just about any outdoor activity and most surely generate conversation as your friends admire them. Darn Socks describes these beauties as a “burly, beast of an all-mountain performance sock.” We agree and are confident this sock will ultimately sit in your sock drawer for much longer than any other lower-quality (and lower-cost) alternative. 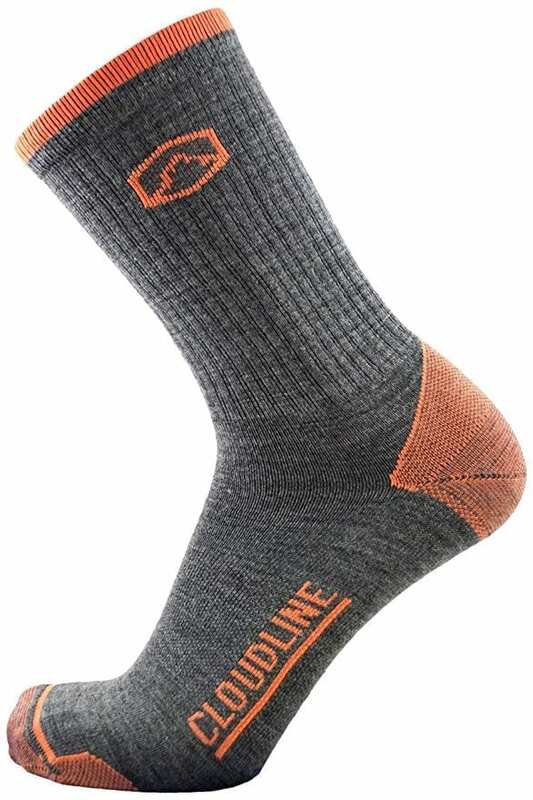 We own a pair of Cloudline socks and thoroughly enjoy these socks. They are attractive, comfortable socks that can be used for cycling or other outdoor activities. They will not bunch up, hug your leg without slipping and provide excellent heel support. These are an excellent “all around” sock that can be purchased in six different punchy colors.